Gather all your pupils and teachers for a fun workshop that demonstrates ways in which iPads are being used to support, extend and enhance curricular music. Duration: 45 Minutes | Project: Whole School Assembly. Inspired by Annex 2 of the National Plan we demonstrate quality software instruments, discuss simple ways to use an iPad in your classroom, and demonstrates the ease of composing and recording in Garageband. 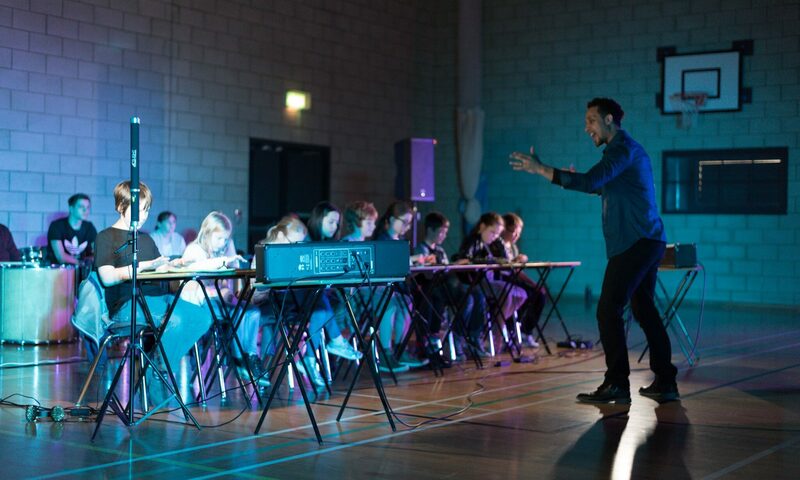 This workshop will inspire and inform both pupils and teachers leaving them encouraged to engage with the exciting world of music technology.